Aries’ confrontational energy does not mix well with Pisces’ transcendental drift. This very challenging combination highlights the gap between self-interest and sacrifice. Sun in Aries is mercilessly direct. His drive for self-expression cuts out everything that does not involve him. His partner will need a thick skin and sense of adventure; Sun in Aries has no patience for games, hesitation or bruised feelings. The positive side of Aries’ blunt approach is that his partner will always know where she stands. He’s either fully involved or he’s not. If his partner doesn’t excite and challenge him, he won’t waste time trying to fix things. Moon in Pisces is a sensitive creature. She soaks up the emotions of others and will often sacrifice her needs for her partner’s. She’s not always sure what her needs are, and giving to the point of martyrdom is a risk. This vulnerable Moon needs a lover who appreciates her sensitivity and provides a serene environment. When she feels comfortable, Moon in Pisces can provide the most profound, healing soul connection. But if she feels frazzled, she’ll withdraw into a fantasy world where no one can reach her. Sun in Aries will fry Moon in Pisces’ sensitive nerves. She’ll find his bluntness painful and his energy aggravating. Rather than fighting back (which Aries would love) she’ll retreat. Sun in Aries will find her withdrawal incomprehensible. He’ll demand to know what’s wrong but he won’t understand her vague hints. Aries will ultimately feel weakened by Moon in Pisces’ pain and his inability to reach her. If there are other, harmonious aspects connecting these two, they might be able to make this relationship work. 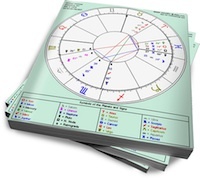 Aries could have his rough edges softened as he learns about sensitivity from his partner. Pisces could follow Aries’ lead and develop a stronger sense of what she wants. But there will always be a gap that they can’t bridge.